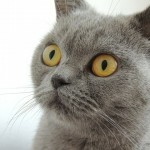 Do you wish you could read your pet’s mind? 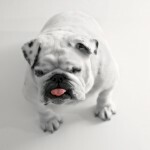 How many times has your pet been in pain or suffered needlessly just because you couldn’t figure out what he needed? It doesn’t have to be that way! The Animal Communication Mastery Club is Here! A uniquely insightful, brilliant, immersive program to help you master your intuitive skills! You want to be able to read your animal’s mind, see their struggles from their viewpoint, give a voice to the voiceless. How many animals have suffered because no one could figure out what was wrong with them — nobody took the time to talk to them and find out what they really needed. Animals are communicators. You need to know how to speak their language! You’ve taken a beginning course/workshop, you may have even taken an advanced course. Now you’re ready to quantum leap your intuitive and empathic skills and move to a whole new level of animal communication mastery — but something’s missing or in the way for you. You hear the mantra, “you can talk to animals anytime anywhere!” yet you can’t seem to get past the quick connection part. You’re not sure if what you’re receiving is accurate or not, your confidence is lacking, you’ve taken classes but still, you’re not sure if what you’re getting is just your imagination, wishful thinking or not. or how you can adjust the signal. where YOU want to go… let alone know where to even begin improving your skills. Animals are Highly Intelligent, Feeling, Thinking Beings. Giving a Voice to the Voiceless Is Important! Be the bridge that fills the gap between people and animals. HOW MUCH MORE OF A DIFFERENCE COULD YOU MAKE FOR THE ANIMALS YOU LOVE IF YOU MASTERED YOUR ANIMAL COMMUNICATION INTUITIVE ABILITIES? Animals work hard to be your best friend. But if you don’t know how to speak their language, you won’t be able to be their best friend… and that’s sad. Your commitment to mastering your animal communication intuitive abilities isn’t just for you, but so you can better meet their needs! What’s the Cost of Not Mastering Your Skills? What if a life is lost because you couldn’t understand what the animal needed to tell you? What if the animal is living in pain that keeps getting worse because you didn’t know how they were feeling, what they needed to feel better, or that something you are doing is hurting them? What if the animal is confused, concerned or worried because of misunderstandings, past experiences or changes that affect them because you didn’t know how to talk to them? What are you learning, and how are you applying your intuitive skills in order to bridge the gap between people and animals, to effect change and/or healing? Or are you still encountering situations where you don’t know how to help, get stuck in the conversation or feel blocked off entirely? Do you have a strong support community and master mentor, who allows you to explore, experience, try new things, go deeper than ever before, and tap into your genius zone? Or are you still hitting and missing, worrying about inaccuracies or making mistakes, and afraid to fail? Do you feel confident handling anything and everything an animal wants to tell you? Whether its a behavior problem, a health problem, a case of abuse, rescue or fostering to help find their forever home, easing a pending transition or connecting in the Afterlife. It ALL matters. How confident do you feel with these common scenarios? Do you have the necessary community and opportunities to practice so you can consistently get better and feel more confident communicating with animals? Every student needs a safe place to practice, where you receive excellent feedback, encouragement and support while you learn. When things go wrong, we learn from the mistakes so you can improve your skills. When things go right we celebrate! It’s not just about the actions you take, the tips or techniques, or how much you love the animals you encounter. If you’re not doing the inner work around intuitive clarity, conscious awareness and deep level communion, then you’ll derail your progress, botch the communication and self sabotage yourself at every turn. The Art of Animal Communication Mastery is about both the INNER GAME and OUTER GAME. The outer game work is important, but the inner game is where you create the spiritual connection and space to receive another beings thoughts, intentions, memories and feelings. It is why we’ll be doing the HANDS-ON Inner and Outer Game work to help you heal, evolve and grow into the best version of yourself possible. I’m Val Heart, called The Real Dr Doolittle and Animal Communicator to the Stars. I coach and mentor animal talk students to help them accelerate their intuitive skills quickly through experiential education and through critical mindset shifts that get results. I’ve taught hundreds of animal lovers how to communicate with animals, many of them choosing to go on to become successful professional animal communicators. These results are phenomenal and yes they happened quickly, but I’m not a miracle worker. I don’t have a magic wand that will uplevel your intuitive skills and life overnight. What I do have is extensive coaching, mentoring, healing through over 25 years of professional experience working as an animal communicator and master healer — plus I’m able to uncover what specific beliefs and blocks are getting in the way of your growth — as well as the ability to identify where you’re missing the animal’s messages to you, sabotaging yourself out of fear, misunderstanding and/or miscommunication. My style and process is direct and compassionate. I’ll laugh with you and we’ll celebrate all your wins, but I’m also fiercely committed to seeing you succeed, and I will nudge you forward in just the right ways… getting you to take the actions necessary for producing real, tangible results. Quickly and ultimately fully connected with much more ease, peace, harmony and flow. Do you know what the gap is between where you are now and where you want to be? 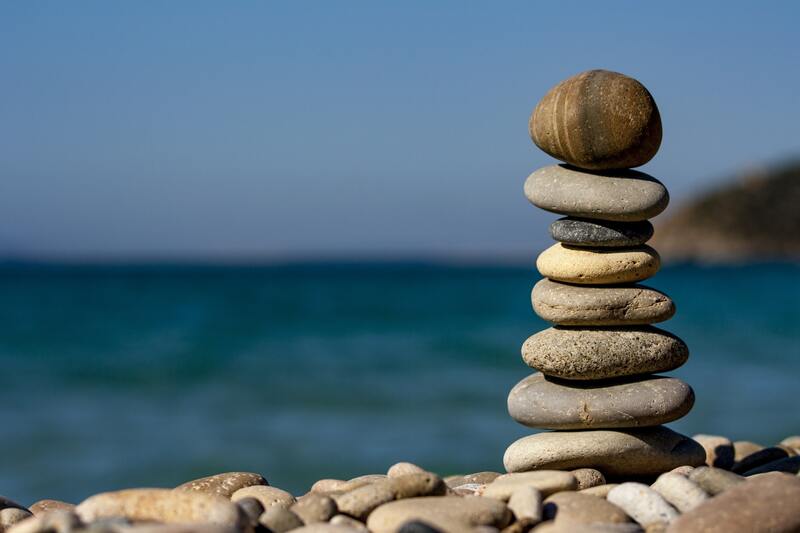 Most people have a sense that something is missing, blocked or misaligned. They know they probably need some guidance or support. They know they’re not showing up as the best possible version of themselves. And they know the animals around them feel disappointed, sad and cut off. What they don’t know is what exactly that “something missing or misaligned” is in terms of their intuitive communication. They don’t actually know in what areas of their communication skills that they most need support and mentoring, or what that would look like. And they don’t truly understand how much wasted effort they’re experiencing by not learning how to be effective and open RIGHT NOW, from where they’re at. Far too often animal talk students believe they have to get to a certain point before they can start mastering their communication skills for maximum results with minimal effort. The truth is, that point can come far sooner than most realize. With the right help, guidance and training. IT’S TIME TO GROW TO MASTERY. This year, not down the road. From where you’re at now, not waiting until you’re where you think you should be. OR you can choose to finally master The Art of ANIMAL COMMUNICATION MASTERY through better education, support, mentoring, experience, practice and inner work. Val Heart gave me such great advice and clarity for my life. helped me improve my health, and also made such a difference with my horse, Aries, that we swept into the dressage shows and won a whole pile of blue ribbons -- in only 6 months! I can’t believe I was on the verge of selling Aries and giving up on him only a short while ago... now, we are excited to see each other and are winning almost every show we enter. We are both healthier, too, and that mystery lameness Aries had? Now I know where it’s coming from, what to do about it and what my contribution to the problem actually is. Awesome! Thanks, Val! I don’t want to know where we would be without you. I’d been hot on Val’s trail and finally nailed her down to be interviewed on our Wisdom Radio / Law of Attraction Show. I can’t believe that only a year ago, my 20 year old Grand Prix Dressage horse. The Beginning Animal Communication Course helped me connect with any animal at will, whenever I need to! This amazing Course was a heart opening experience. What joy I feel! The truth is, practicing interspecies communication has me bursting with gratitude even a little giddy at times. Before the course I received spontaneous pictures/visuals from animals communicating with me. They always initiated the communication I received and I felt good about my interpretations. However, I felt I had trouble initiating a connection myself. Also, I often doubted I had successfully communicated my intent/message to the animal/insect/plant. What changed? I was able to connect with animals at will; fine tune my interpretations and increase confidence in my sending ability. How? By using all of my senses as taught during the course instead of just visual.The more I sat in the energy the more my heart opened I could literally “feel” the animal communicate throughout my mind and body. Val’s coaching and intuitive knowing along with time devoted to the learning process was just the jump start I needed. The group energy boosted my senses and intuition like an energy drink boosts the body’s physical energy. And now? What fun! The more I invite animals/insects/plants to communicate, the more they do and the more my heart and senses open up to send and receive. So practice does indeed make “purrrfect”. Are you considering a retreat? Well, I believe I attended the retreat with no preconceived idea of how it would go or any great expectations of myself. It felt like that was a “good thing” for me enabling me to be open to any new ways and giving me free rein to “go with the flow”. So happy I didn’t have time before the course to think too much about it. Funny how I always get just what I need when I need it, bet you will too if you take Val’s course. She is truly a master communicator and teacher. Thank you Val, fellow students and animal teachers!! THIS Course Took Me Where No Other Course Ever Had! There is so much practical information in this course that you can use immediately to assist in communicating more fully and deeply with animals. I especially benefited from the many meditations that are geared to opening and expanding your consciousness and awareness of how we communicate on so many different levels. I received many new insights and ideas from the material in this course and I highly recommend it. Being a home study student, I can go back at any time and listen to the recording again and again. What a Profound Confidence Booster! This course helped me to have more self-confidence in myself and my abilities. It opened a door to a whole new world that I will enjoy learning more about. Val is such a kind and supportive person. She has helped me believe in myself more as I practice AC. The material is superb and very thorough. I highly recommend it. Channeling or spiritual communicating isn’t something you can “teach”. Everyone is born with it. We can ‘re’-remember. This course is very good as it tells of ways to remember, tap in and open up to accomplish the communication goal. It is a matter of trusting the process, the universal connection and most of all oneself! Val does a good job of bringing that across…and in a sweet, happy way. I’ve been to a ‘famous’ animal communicator’s workshops and was not nearly as impressed. 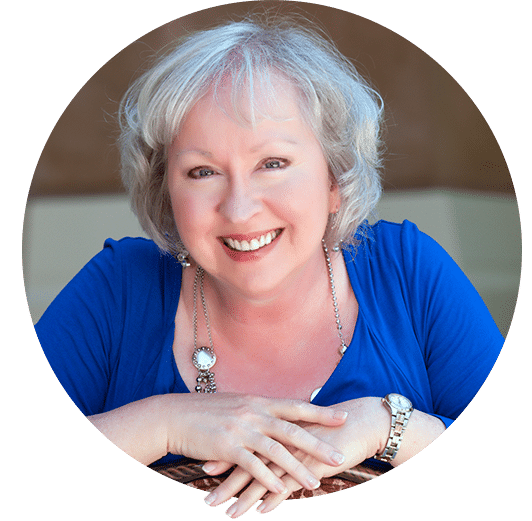 Val, my experience in the Beginning Core Foundations and the bonus Awaken Your Inner Guidance Courses is amazing! You taught us how to engage in a dialogue with spirit beings. I have been told that I have many guardian angels so I expected that choosing one to talk to would be difficult, however it was not. She immediately came to me. Her name is Madras (I sort of chuckled since it means mother). I asked her my questions and she responded in a very matter of fact manner. I think you used the word authoritative, and that is the way she was. She also has a very different “voice” from my own. In doing the steps to “check” the validity, this event passed on all counts. So, I thanked her. Now I want to thank YOU, Val! This is improving my life in ways that I could not even imagine. I have hummingbirds coming to my flowers. The neighbor’s cat keep escaping, trying to get in my door. I asked Tigger (the cat) if it would be okay if her and I had a conversation after I finished the course. Dogs on the street are lunging to get at me, in a good way…lol It’s an amazing new life, thank you. ❤ I’m not finished the course yet, it has already made such a wonderful change in my life. I just finished the “listening” section in Class 2. I signed up for the Beginning and Advance Courses a couple of weeks ago when you offered your 25% discount. I have been a bit hesitant in diving into it, I guess because of my resistance around the erroneous beliefs I hold that tell me I won’t be able to talk with animals. Well, I am moving out of the resistance and stepping into the Truth that I do in fact have the ability to make my dream of becoming an Animal Communicator into a reality. I just feel so happy that I picked you as my teacher. Every time I hear you speak, I love you more and more. 🙂 Your tender heart resonates profoundly with mine. Yum! I am imagining myself doing wonderful work with animals. I look forward to an incredible journey under your tutelage. Thank you Val! I will be sharing myself and my journey on the Forum soon. I AM moving onto a Heart Path with my beloved Animal Friends…..and human ones too, like you! Thank You, Thank You. 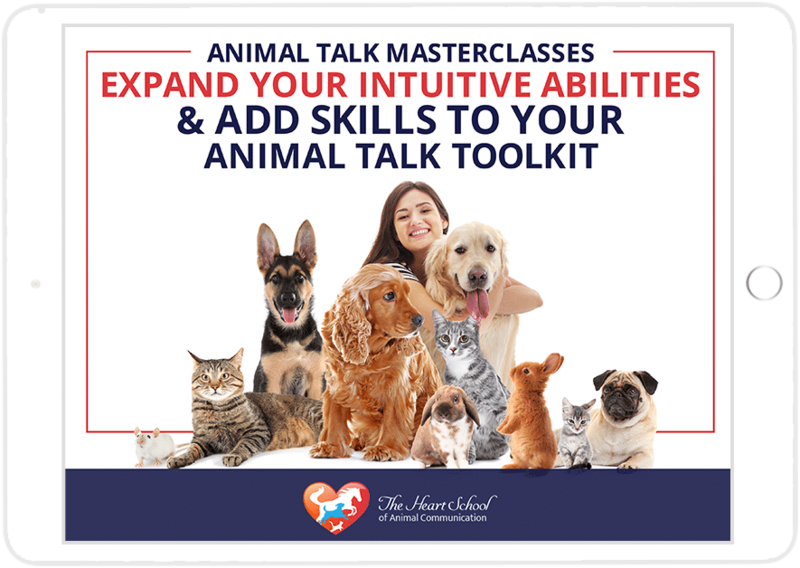 Speed up your mastery of animal communication in whichever way best suits your learning style by choosing which level of membership is best for you!. The deep work of changing your beliefs and mindset so you can finally step out of the programming that keeps you blocked off, sabotaged, unclear, fearful, worried and stuck. 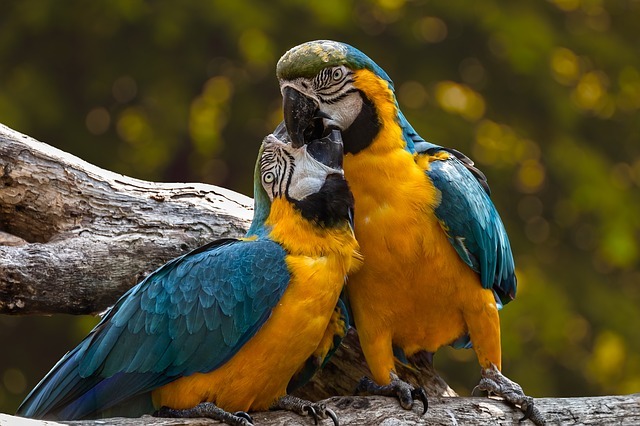 Create effective communication practices that support your intuitive growth, simplify your current approach to connecting, and free up more of your energy so you can enjoy incredible, mind blowing communications with animals. Gain a solid understanding of what you actually need to know, what you can let go of that no longer serves you, and how exactly to go about boosting your skills quickly and easily. Get exactly what you want for YOUR needs from where you are right now, rather than relying on techniques created by someone else. Understand the Universal Laws and how exactly they apply to the concept of mastering your telepathic intuitive gifts in communicating effectively with animals given your goals. What’s the difference between the Silver, Gold and Platinum Memberships? Silver Members get recorded mini-trainings, access to the student community and opportunities to practice. Gold Members get everything Silver Members get PLUS new training every month, and can get personal attention by participating in these important classes with Val in their Monthly Live Q&A Calls. Platinum Members get everything Gold Members get as well as the opportunity to deep dive LIVE in the extraordinary Masterclass Series Calls. Both the Gold and the Platinum Masterclass Memberships are a unique, experiential, exploratory journey so if there is something else you want more of, tell me and we’ll weave it into the mix. When you take the Club for a test drive, you’ll receive special Bonuses just for signing up. All members get the Stress Busting Rx & Quick Connect Meditation. Gold & Platinum Members get the Paws Before Dying Course (reg $197). Platinum members also get the Healing Animals with Reiki class co-taught with Kathleen Prasad, author of Animal Reiki. BADGES & AWARDS & GAMES, OH MY! Throughout your journey, you’ll be invited to take pop up quizzes, do case studies and fulfill fun assignments that advance your skills and help earn you special recognition, and you’ll be earning points to cash in the Heart School store! There are many fun and easy ways to develop your intuition! In this bonus, you’ll find fabulous games you can play anywhere and anytime to challenge yourself to expand your senses, access your knowing and boost your confidence. When you’ve got questions, when you want support, when you want someone to play with, when you are looking for an animal teacher to practice communicating with, when you want someone to talk to your animal(s), when you feel isolated or alone or are having trouble and need a friend — we’re here for you! Gold and Platinum Members Only: Let’s celebrate you and your journey, showcase what you’ve learned and what the animals have taught you. Discussing our love of animals and the magic of hearing their voices, what it feels like to be the bridge for animals and how they have helped you is a wonderful opportunity to pay it forward by inspiring others! want advice about how to handle situations/problems? Access your fellow students around the world for support in the Club Forum 24/7/365. Your fellow students animals will become your new best friends, guides, healers and teachers. They will provide lots of animals to practice with, plus there are other fun intuition development games improve your accuracy and confidence; practice communicating, get feedback from fellow animal talk students of all levels and skills. Use this short and sweet but very powerful guided meditation when you need a “calm down cue”, to de-stress, decompress, quickly rebalance, reconnect, tune in and feel refreshed. You’ll also find this technique works very well to help you quickly connect with animals, anywhere, anytime. Immediate access to a powerful Club Q&A Coaching Call. The students said this remarkable class changed their lives! Some of your questions may have already been answered here. Listen and feel inspired, then engage with us in the Club Forum to discuss what you learned. Further your training and education by receiving ongoing monthly pre-recorded online training on a variety of topics designed to be fun, engaging, easy to access and explore. Go through the material and then apply what you’ve learned to see what a difference it makes for you and your pets. Studies have shown that students who are accountable progress much faster in developing their skills than those who aren’t. 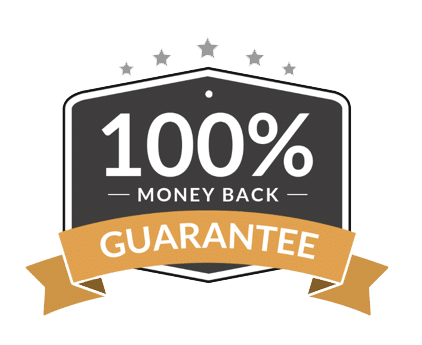 As a reward for simply answering a series of questions every week for just 12 weeks in a row, you are eligible to receive a private one on one Laser Coaching Session with Val (value $125). Got questions? Get answers in the Live Monthly Q&A Call! Personal coaching and healing support, enjoy group communication exercises, intuition development, guided meditations to quiet your mind, tips and animal talk techniques. Plan on up to 90 minutes of fun, enlightenment and masterful guidance! Offered the second Saturday of each month 8:30 am Pacific / 10:30 am Central / 11:30 Eastern. (value $200). Even if you can’t attend you can still ask your questions and get the recording afterward. Platinum students get the exclusive opportunity to participate in a deep dive into important training topics, with ample time for Val’s personal coaching, mentoring and guidance. Techniques, insights, advanced tips, and coaching with Val at this level can make THE DIFFERENCE in expanding your understanding and intuitive abilities. Plan on up to 90 minutes of engagement, exploration, experiential immersive learning! Taught live the third Saturday of each month 8:30 am Pacific / 10:30 am Central / 11:30 am Eastern (value $250). Recordings available after class. You’ll receive all of this over a fun filled, exploratory, experiential journey with a community of spirited, big hearted animal lovers! This is a safe space to explore and resolve what stops you from showing up powerfully and authentically with animals, so that you can have a blast receiving animal messages, making a bigger difference in their lives and your own, and have a lot of fun doing it. Are you ready to expand your intuitive gifts and abilities? Not only am I unstuck, I am off and running. See all that Membership in the Club can do for you with a 14 day free trial. Sign up now, upgrade or cancel at any time. Save up to 30% with annual billing. Join now! You have a full 60 days for whatever reason. If you don’t agree that being a club member is helping you grow and develop your intuitive skills, then let me know exactly what you’ve tried and how you’ve participated along with the results you got, and I’ll give you your money back. 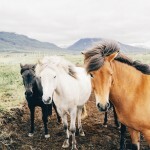 MASTER The Art of Animal Communication? To quantum leap your intuitive skills with EASE? To have a support community in place that gets you, supports you and helps you create the relationships and connections you really want with animals? To truly understand the INTUITIVE PROCESS of MASTERING your telepathic abilities for results? To understand how to heal, grow and evolve into your BEST self, to be able to connect with animals quickly and easily, anytime and anywhere? It’s worth more than any number you can come up with, that’s for sure. Understanding how to truly master your telepathic intuitive abilities with animals is PRICELESS, and will continue to pay off year after year with every animal who has ever been in your life, who is in your life now, and who comes to you for help in the future. Don’t waste any more time spinning your wheels, feeling stuck, lost or discouraged. Master The Art of Communication NOW. Who is the Animal Talk Coaching Club for? ALL Animal Talk Students! Beginners and advanced students alike need an expert mentor for guidance, a safe place to practice your skills, continue your education, and expand your intuition. 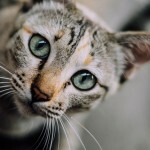 Students tired of feeling isolated or alone trying to figure things out on your own, and who want to be part of a growing, loving community of like minded animal communication students from all over the world eager to help you develop your intuitive abilities then this online training mastery program disguised as a Club is for YOU! 4You GET how powerful regular inexpensive access to a top expert with well over 24 years communicating and solving problems with pets could be for YOU! The location is wherever YOU are with your internet and/or phone connection, accessing your student account in The Heart School of Animal Communication. Gold and Platinum Live Q&A Calls are held the 2nd Saturday of each month, and the Platinum Masterclass is held the 3rd Saturday of every month (unless otherwise announced) starting at 8:30 am Pacific, 10:30 am Central, 11:30 am Eastern. Plan for 60 minutes of engagement, exploration and fun! Additional open office hours may be made available occasionally for further student support. All Calls are recorded. I'm a total newbie to animal communication. Is this for me? Yes! As long as you’ve taken a beginning course/workshop, you will have enough knowledge to build upon. If you’ve not taken a beginning course/workshop, then you can get started here and learn as you go. In fact, learning the RIGHT way now while you’re just getting started will accelerate your progress and abilities faster than doing it by yourself without support! 1) Clicking the chat button (bottom of your screen). Chat with us right now or leave your phone number or email. We’ll get back with you and answer your question. How can I sign up and make my payment? What else could you spend the money on? Starbucks coffees, songs on iTunes, a bag of kibble, a new toy or training gadget… what real difference will any of that make if you don’t know what your animal is thinking or feeling, or wants you to know? It’s a fraction of the cost of a vet visit for new blood work and/or tests for your animal that might or might not be helpful, which could in fact be wasted effort, time and money. Sessions with a trainer to try to solve problems, but without knowing how to talk to your pet about their behavior problems, again, wasted effort, time and expense! Would you rather do that OR it is more important to transform your dream of communicating with animals into reality? We charge so we can give you the best quality training, coaching and ongoing support that you need to develop your skills quickly and as easily as possible. Running a premier internet program like this one incurs many expenses in addition to our time. We are constantly looking at ways to further improve my Programs to best suit your needs at the highest possible level. Val can’t guarantee how much time you’ll need to get where you want to go toward mastering your individual and unique skills, but there is a lot of power generated by working together in a group setting and under the care of an expert teacher, mentor and coach. And because you’ll be receiving her personal dedicated attention, her experience is that you’ll see significant results quickly. You will receive all her love, experience and attention to assist you with whatever you most need help with. When you feel that you’ve learned everything you need to know, you are welcome to drop out and/or graduate by taking your skills out into your life, or going professional by making this important work your career. What if I intend to make animal communication my career? Val is delighted to support you in creating and launching a successful professional animal communication career! This Program will give you the support and guidance you need to master your skills. After that, it will be time to get the support and expertise you will need to know to create a lifestyle business doing the work you love, making excellent income helping animals and the people who love them by being their voice. The Program that follows this one is the Go Pro Business Building Program. You get 14 days free as a trial before billing begins. Explore, enjoy your bonuses, make new friends, find people and pets to practice with, get help for your own pets, and more! The Club is designed to accelerate your ability to master animal communication. If you decide to cancel, let us know before billing begins and you won’t be charged (give us 2 business days advance notice so we can take care of you in a timely manner). If billing has already begun, then your new monthly training classes will have been released, and no refund for that month will be allowed whether you’ve taken advantage of your Club membership or not. 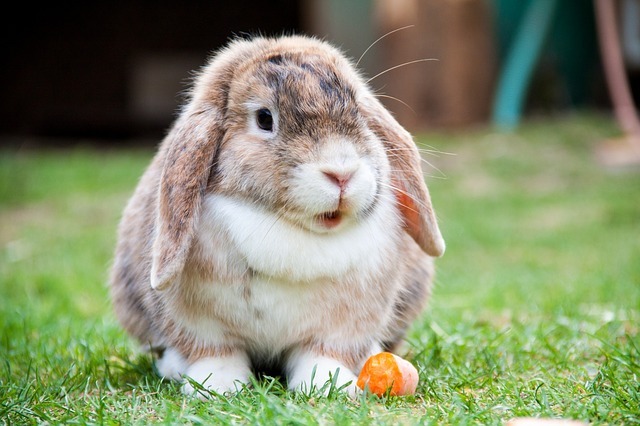 Animals are eagerly waiting for you to hear their voices, receive their messages and more. Make a commitment to yourself and them to master your skills. I’m looking forward to celebrating your journey with you. The Real Dr Doolittle and Animal Communicator to the Stars Dedicated to changing the world one animal lover at a time. NOTE: All of the above, including the Club Forum, Home Study Courses, Resources & Bonuses are provided digitally and are hosted online for safekeeping PLUS 24/7/365 access from anywhere in the world. High speed internet is recommended. 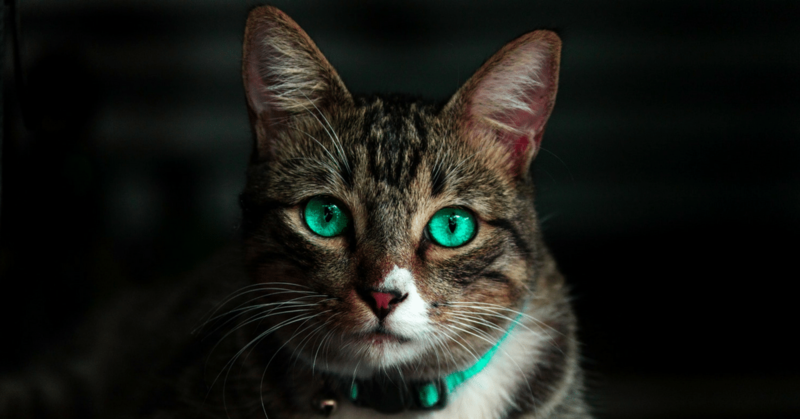 Disclosure: I understand that my membership in the Animal Communication Mastery Club begins upon Registration upon which I will receive immediate access to the Club including the Student Forum, private Facebook Group, Courses and ongoing educational Bonuses. Billing begins after my 14 day Trial period ends. If I do not notify Val Heart of my intention to drop out before the Trial period ends, I agree to be billed for my Membership Dues automatically each month until I cancel.